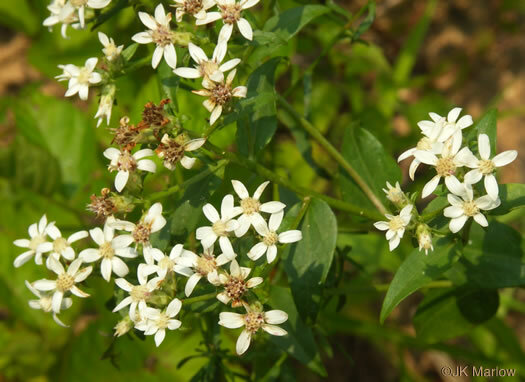 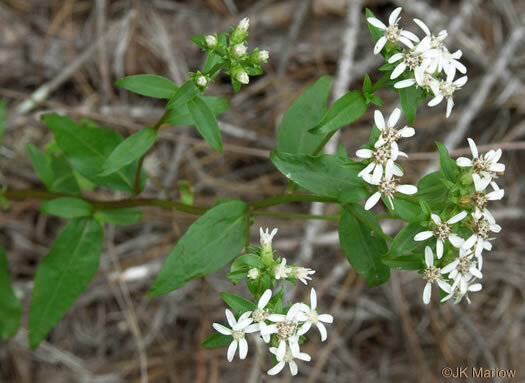 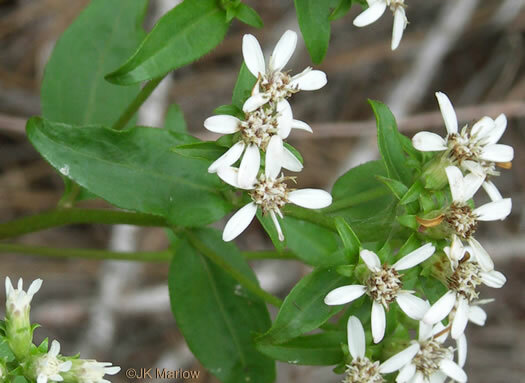 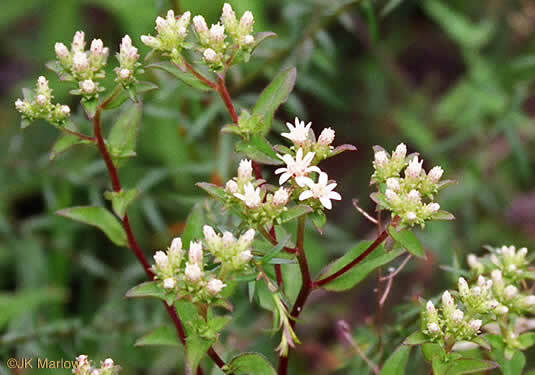 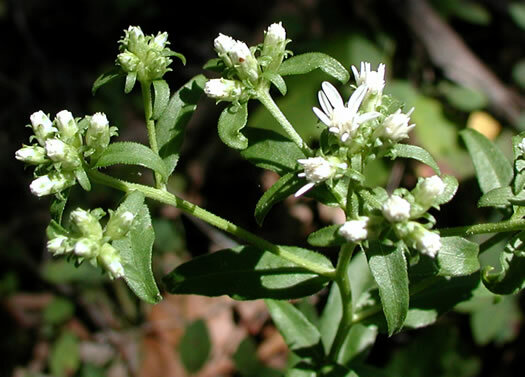 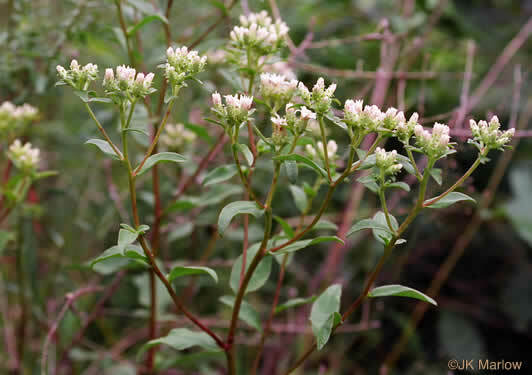 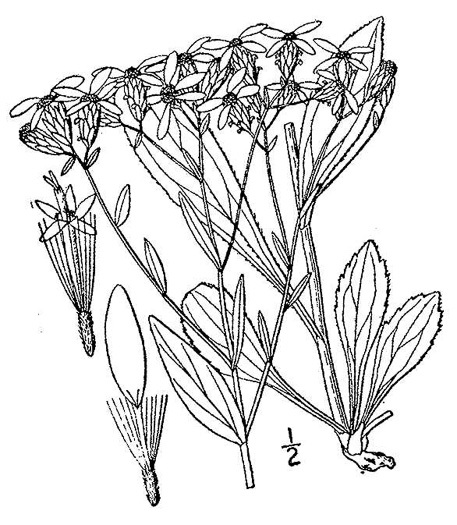 The 1/2" heads are borne in flat-topped clusters, per Wildflowers of the Southern Mountains. 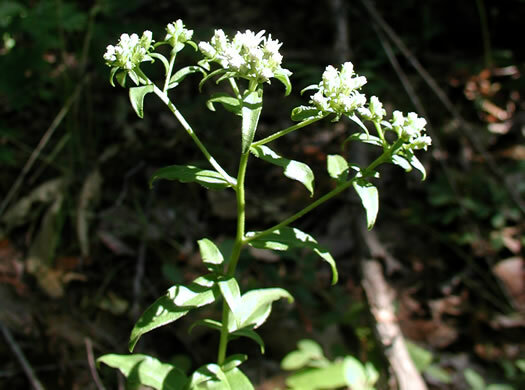 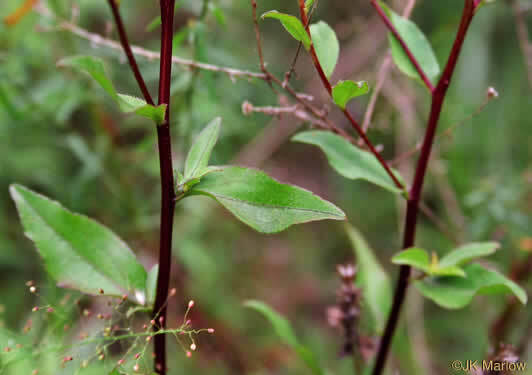 Leaves elliptic, lower with a petiole & a few teeth, upper smaller & sessile, per Wildflowers of the Southern Mountains. 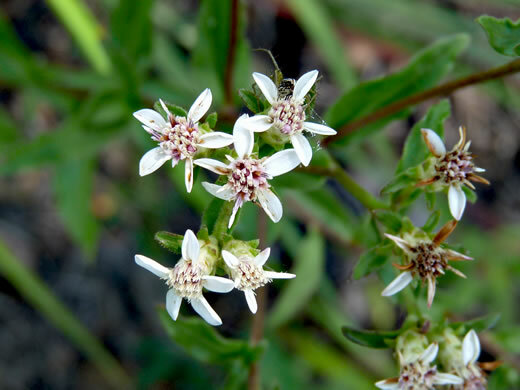 Rays broader than those of S. linifolius, per Wildflowers of Tennessee, the Ohio Valley, and the Southern Appalachians. 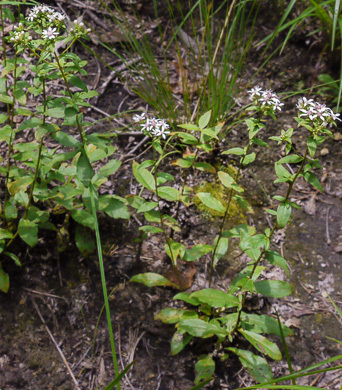 Coastal Plain populations are rhizomatous, while inland populations are not, per Weakley's Flora.